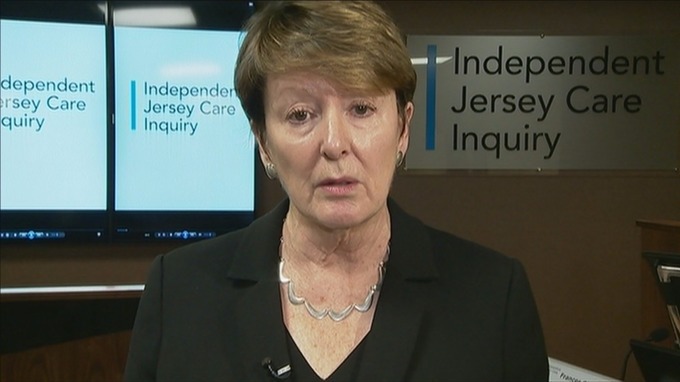 The chair of the panel investigating allegations of historical abuse in Jersey’s care system is refusing to be questioned about their findings, when the report is published. Frances Oldham QC has confirmed nobody will be allowed to ask questions, and the media will not be allowed to interview her or her panel members, on Monday 3 July 2017. Instead, on that day, parties who have given key evidence to the inquiry, and specific individuals named in the report, as well as their lawyers, will be given two hours to read the it before it is made public at 3pm that day. The panel will not be taking any questions or giving interviews. Video footage and photographs of the report’s launch will be made available as soon as possible after the event. The Independent Jersey Care Inquiry began hearing evidence in July 2014 and was due to publish its findings by December 2016. That publication date was twice further delayed. The inquiry’s original budget was £6 million. That has increased to £23 million, including the £8 million spent by the States of Jersey. This entry was posted in Uncategorized on June 7, 2017 by richardwsymonds37.